As anyone in the Search Engine Optimization world will tell you, Google’s search algorithms are constantly changing. By auditing your site, you can easily identify the areas you need to improve to stay on pace with search engine’s ranking factors. You don’t need to be an SEO expert to understand the importance of an SEO audit. Business owners know that you can’t simply build a website and expect the audience to find it. Even if your focus remains on content, marketing, and sales, it is critical to know how your site is doing from a technical standpoint. Google’s algorithm allows bots to crawl and index your site in real time. You can write all the engaging content you want, but unless you remove the site’s obstacles, you won’t be able to reach your audience. An SEO audit can help you figure out what’s preventing your business from growing. 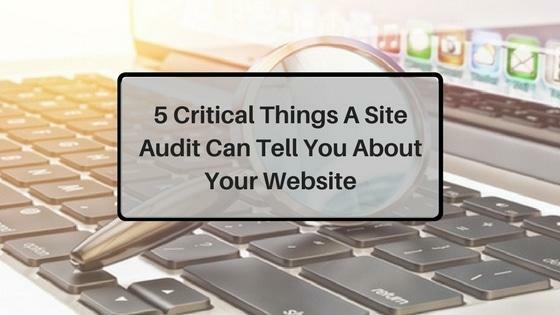 In this article, we have compiled a list of the five main reasons conducting an SEO audit is critical for your site. An SEO audit can help you track if your traffic has changed over time. If there is an obvious dip in traffic, what caused it? If you have more traffic than usual, what did you do successfully? Analytics can help you identify where your traffic is coming from. You can also check your unique visitors and bounce rates (a high bounce rate can signify that your users aren’t finding what they were looking for). With an SEO audit, you can easily see if there are simple issues that can be fixed immediately that might be impacting your traffic. For instance, your title tag or meta descriptions might need fixing before users are willing to land on your site. The website review on WooRank will analyze your site’s criteria, like the Title Tag, and give you actionable advice on things that need to be changed. It’s a red flag for your site if only a small portion of traffic is coming from search engines. A technically healthy website should, theoretically, have more than half of its traffic coming from search engines. An element closely related to a site’s traffic is its conversion rates. If you have a lot of traffic but your audience isn’t converting, you are probably doing something wrong. Either you are attracting people who don’t fit your target audience or your content is driving them away. Your website audit will help you understand if you are bringing the right people to your site. Refining elements like your page headers and meta descriptions will ensure you are attracting actual customers instead of casual browsers. The content of the meta description in search results is the content that your potential customer will see, so you need to be aware of who you are targeting and what you need to write to entice them. For instance, if you searched for cheap flights to Hawaii, you would be more likely to click the link with the price in the description. The meta descriptions in these results differ, as one clearly states the price and is therefore more enticing to a user. Business owners are always aware of industry shifts and changes. Website owners should be just as conscious of Google’s algorithm changes, because those can seriously affect your site. For example, when Google rolled out its Penguin update five years ago, websites began seeing very real penalties for violating Google’s Webmaster Guidelines. This included using black hat SEO techniques to artificially boost a page’s search ranking. Some sites that were flagged for spam links have been working to recover for years. It is possible for your site to rank poorly for an extended period because of a Google algorithm. A website audit can help you analyze if an algorithm update will affect your site, so you can mitigate the potential penalties before they become a lasting issue. 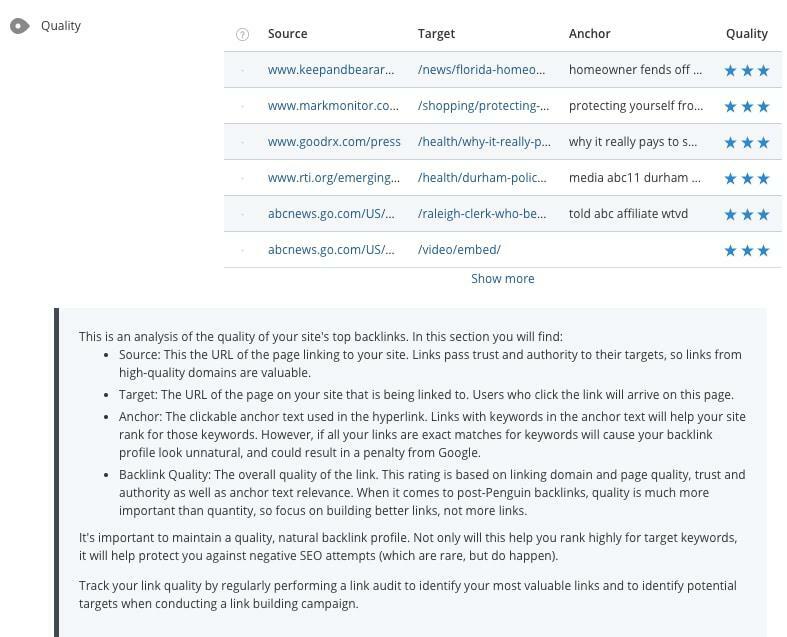 The Penguin update 4.0 now analyzes each URL individually rather than the entire domain. Because of this, a few problematic pages on your site won’t tank your chances of ranking well. Fixing the issues a site audit detects on individual pages will likely improve your rankings significantly. Links are widely thought of as one of the best ways to boost your SEO score. However, links are a double-edged sword. Links coming from bad or spam sites could land you with a Google penalty and devalue your site’s credibility. Low credibility will mean lower rankings on search results. Low rankings means low traffic, low lead generation and, worst of all, low conversion rates. WooRank’s website audit will show you the sources of the backlinks and their quality. If you see that you have low-quality backlinks, it could be hurting your SEO score rather than helping it. Luckily, a website audit will show you the sources of your backlinks. If you see the links are spam or unrelated to your business, you can always request for the link be removed. For these spammy links, you can use the disavow tools to tell Google and Bing you don’t want those links associated with your website. Google advises that you first ask the webmaster to manually remove the links. If the site doesn’t remove the link, you can go ahead and disavow it. Alternatively, you should try to build relationships with those sites giving you high-quality backlinks so you can get additional backlinks down the road. An SEO check will also identify broken links that reference pages or articles that no longer exist. Because search engines see broken links as a sign of an “abandoned” site, you need to make sure your links are fully functioning. How is your competition doing? Is something driving their success that you have yet to implement on your site? One study showed consumers will visit a minimum of three websites before making a purchasing decision. What we can learn from that statistic is if your competition is ranking higher than you, consumers are more likely to purchase from them. Competitor analysis is a crucial part of an SEO audit. Through analyzing your competition, you can see their site speed, mobile friendliness, content, backlink quality and even social media presence. If they are ranking higher than you in SERPs, this is the best way to find out why. Humans are fickle beings; our reactions to content can change at the drop of a hat. It’s easy, therefore, for your content to become stale or irrelevant, leading to high bounce rates. A website audit will show you which content is no longer relevant and is impacting your site’s authority. 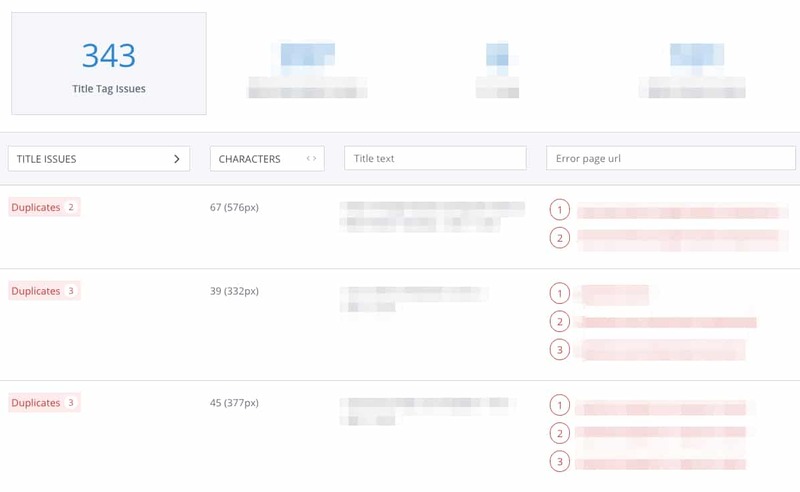 You can also use an audit to identify duplicate content issues, such as blog posts that have been published twice. Duplicate content can impact a site’s credibility, resulting in lower search engine rankings. In this site crawl, you can see that WooRank has identified lots of duplicate content errors. This can happen when a blog post is published twice. You may also encounter content that needs sprucing during your site audit. A simple reformatting can boost your site’s traffic without needing to create original content from scratch. Site crawl can also identify body content issues, like identical pages showing up on multiple places on your site, or a page not having enough content. Google doesn’t (yet) have the ability to categorize your content as “good” or “bad”. It instead takes factors into account like having more than 300 words to strengthen engagement rates. Google searches your content for words (data) that indicate what you are writing about. 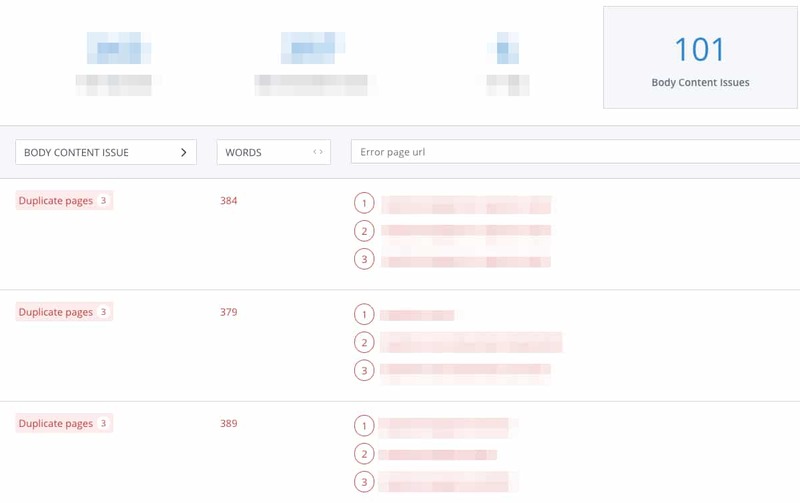 A site audit will help you discover gaps in your content, like failing to optimize long tail keywords and localized keywords. 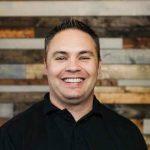 So, What Can an SEO Audit Do For My Site? The five reasons listed above show what you need to pay attention to when conducting an SEO audit. If you can execute an SEO strategy that aligns with the results from your site audit, you will undoubtedly gain traffic, leads, and conversions for your business. An SEO audit will help you prevent issues on your site from damaging your rankings, because you will be monitoring your site’s score! You will be able to make adjustments before those penalties catch up with you. 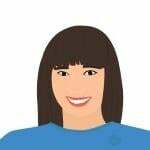 Courtney McGhee is on the Marketing Team at WooRank, an SEO audit tool that has helped millions of websites with their SEO efforts. Courtney shifted gears after 8 years as a journalist in the U.S. to brave the digital marketing world in Brussels, Belgium. 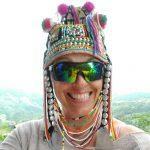 Courtney blogs about her dog, SEO, Marketing Trends, Social Media Strategy and the Semantic Web.